In addition to cruising the Going-to-the-Sun Road, one of the best ways to see Glacier National Park is to take a hike along one of the many hiking trails that meander throughout the park. Prospective visitors may also want to note that our hiking website also offers a wide variety of accommodation listings and other things to do to help with all your vacation planning. Great Smoky Mountain National Park is recruiting volunteers to staff the Information Center at Clingmans Dome, from April 1 through November 30, 2017. Volunteers will work at the seasonal information center that includes a bookstore/sales area managed by Great Smoky Mountains Association (GSMA). Volunteers will assist in educating visitors about the park and provide recreational and trip planning information and directions to other destinations. Individuals are especially needed on Fridays, Saturdays and Sundays but other days may be available. Volunteers will be working alongside GSMA employees. Each volunteer is asked to work at least one four-hour shift per week from 11:00 a.m. to 3:00 p.m. Volunteers must be able to walk to Clingmans Dome Tower during the shift. The contact station sits at an elevation of 6,300 feet and is a point source of information on the national park, in general, and on this high elevation spruce-fir ecosystem in particular. Interested persons will be provided orientation and training and are required to attend training on Saturday, March 4, 2017 from 9:00 am until 2:00 pm. The training will be held at the Oconaluftee Administration Building near Cherokee, NC. To reserve a spot in the training or receive more information, please contact Park Resource Education Ranger Florie Takaki by phone at (828)497-1906 or by email at florie_takaki@nps.gov. Great Smoky Mountains National Park officials announced event plans for the Great American Total Eclipse occurring on Monday, August 21, 2017. The park is offering an opportunity to experience the total eclipse through a special, ticketed event at Clingmans Dome as well as informal eclipse viewing sites at Cades Cove and Oconaluftee. The park is partnering with NASA, Southwestern Community College, and the Eastern Band of Cherokee Indians to provide a special program with featured speakers and storytellers that help explain the science and cultural connection to this unique natural event at Clingmans Dome. At 6,643 feet in elevation, Clingmans Dome is the highest point in the park and offers the unique possibility of seeing the moon’s shadow approaching across the landscape. The area will be closed to all public vehicle traffic to better accommodate a safe, memorable experience for about 1,325 ticketed participants. The parking area will be converted into the special event site that will include a jumbotron screen for participating in a national NASA TV broadcast, telescopes, educational exhibits, and stage for special featured speakers. Beginning on March 1, tickets will be available for purchase on a first come first serve basis through www.recreation.gov for $30.00 each. You must have a ticket to attend the event at Clingmans Dome. Participants will be shuttled to the site from Gatlinburg, TN and Cherokee, NC by coach bus. The Clingmans Dome tower itself will be reserved for the media and live broadcasting teams to share the experience with the widest audience possible. Special presentations and activities will take place during the approximately three-hour period in the afternoon when the sun will be partially and, for a brief time, totally obscured by the moon. With a full schedule of entertaining and educational programs, park rangers and partners are working together to provide a worthwhile experience, even if the sun is obscured by clouds on the day of the event. While a unique experience, the Clingmans Dome location does present logistical challenges that visitors must consider before making a reservation. Due to its remote outdoor location, an inflexible transportation schedule, and limited service facilities on site, interested visitors should closely review event details and consider which of the park opportunities, among many other planned eclipse events in surrounding communities, would best fit each personal situation. Visitors should also note that park roads, including Newfound Gap Road, may close on the day of the event depending on traffic congestion. For more information about the solar eclipse events, please call the information line at 865-436-1585 or visit the park website at https://www.nps.gov/grsm/planyourvisit/2017-solar-eclipse.htm. Great Smoky Mountains National Park officials announced that work is underway in the Elkmont Historic District to preserve four structures and to remove 29 others as specified in the 2009 Memorandum of Agreement (MOU) among the National Park Service, Tennessee State Historic Office, and Advisory Council on Historic Preservation. In 2017, park crews will preserve the Levi Trentham Cabin, Mayo Cabin, Mayo Servants’ Quarters, and Creekmore Cabin in the Daisy Town area. The 29 structures slated for demolition are along Little River Trail and Jakes Creek Trail. Park staff plan to complete the stabilization work of the four Daisy Town structures by November 2017. Workers will repoint masonry features, replace rotted wood, paint, and make needed repairs to windows, doors, and roofs. The Daisy Town area, Elkmont Cemetery, Spence Cabin, Appalachian Clubhouse, and Elkmont Campground will remain open throughout the work project. Campers should expect noise throughout the day, but all quiet hours will be observed. Weather permitting, demolition work will be completed by May 26 for the 29 structures located along Jakes Creek Trail and Little River Trail. Both trails, which are also used as administrative roads, will be closed during the demolition work to accommodate heavy equipment. Access to the river near the near the structures will also be restricted during demolition. Little River Trail will be closed, Monday through Friday, from March 6 through March 24 to remove six structures in the area known as Millionaire’s Row. Jakes Creek Trail will be closed, Monday through Friday, from March 27 through May 26 to remove 23 structures in the area known as Society Hill. Crews have already salvaged useable items from the structures for use in preserving historic structures in the park. From 1992 through 2008, the park entered into a series of public planning efforts including an Environmental Impact Study (EIS) that led to the 2009 MOU and an amendment to the park’s General Management Plan defining the disposition of the 74 remaining structures in the Elkmont Historic District. The EIS defined a full range of possible actions in seven alternatives for management of the historic district with the expected impacts and projected costs of each alternative. These alternatives ranged from full removal of all buildings as described in the park’s 1982 General Management Plan to incrementally greater preservation and reuse of the buildings for a variety of purposes with costs estimated between $1.4 million to over $30 million. As specified in the decision documents, 19 structures were designated to be preserved for public visitation, while 55 structures were identified for demolition. To date, two structures have been fully restored and four have been removed. Park officials continue to seek funding to complete the needed work. For more information about the Elkmont Historic District Environmental Impact Statement, please visit the park website at https://parkplanning.nps.gov/grsm. "Chimney Tops could be closed for years following fire"
Smoky Mountain News is reporting that the Chimney Tops Trail could be closed for years as a result of the November wildfires. Last week Holly Kays from Smoky Mountain News took part in a guided hike, led by Great Smoky Mountains National Park spokesperson, Dana Soehn, in which members of the local media climbed to the summit of Chimney Tops to witness firsthand the devastation brought on by the fire. Soehn told the media representatives that "it could be years before the full trail is open again". Moreover, it could take 80 years before the burned area returns to its pre-fire condition. Additionally, "the Bull Head Trail, Sugarland Mountain Trail and Rough Creek Trail are all expected to see long-term closures as park staff watch how the slopes and soils stabilize over time." 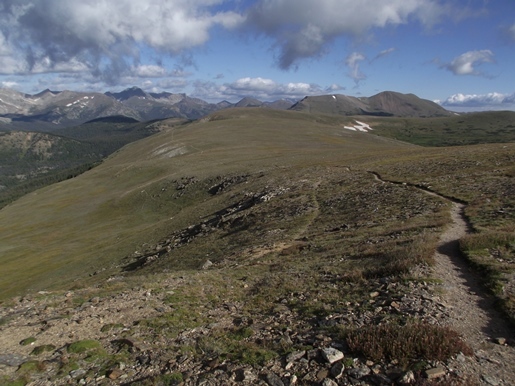 In addition to the hikes discussed above, Rocky Mountain National Park has many other outstanding hikes that take-in the best scenery the park has to offer. If you do plan to visit Rocky Mountain this year, please note that our hiking website also offers a wide variety of accommodation listings and other things to do to help with all your vacation planning. The Cold Mountain Fire is located in the Shining Rock Wilderness Area of the Pisgah Ranger District, Pisgah National Forest, approximately 20 miles south of Waynesville, North Carolina, in the headwaters of Crawford Creek. It was reported on Friday afternoon, February 17, 2017. The human-caused fire is under investigation. The fire is currently 134 acres in size, with 0% containment. Approximately 49 firefighters and support staff, including two crews, two helicopters and various overhead, are currently assigned to the incident. Additional personnel and resources will be requested as needed. Over the next several months as weather allows, the U.S. Forest Service is conducting several controlled burns across the four National Forests in North Carolina -- Croatan, Uwharrie, Nantahala, and Pisgah. The agency will notify the public when the decision is made to conduct controlled burns in their area. Burning days are changeable because the proper weather conditions are needed. Controlled burning will only occur when environmental conditions permit; wind and relative humidity are key factors in fire behavior, safety, and smoke control. A scheduled burn may be cancelled that morning if conditions are not within the expected values. Trails and roads may be closed the day before the controlled burn for firefighter and public safety. The public is asked to heed signs posted at trailheads and roads and to stay away from burn areas and closed roads and trails. 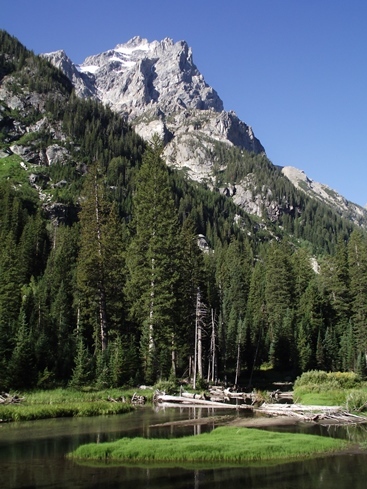 The Forest Service is required to meet state air quality requirements and will conduct smoke modeling to reduce the possible effects of smoke emissions. The proper personnel and equipment will be on site during the controlled burn. Controlled burning is an important and versatile forest management tool that can mimic natural fire disturbances and safely reduce hazardous fuels buildup. Reducing fuels is key to limiting wildfire growth. During the historic fire season of last fall, some fires were quickly extinguished because of previous controlled burning that had occurred in those areas. Habitat for a variety of wildlife can be improved through carefully executed controlled burns. Regular controlled burns promote the growth of herbaceous plants that provide food, such as fruit, for wildlife including important game animals such as deer and turkey. Controlled burning is an essential ecological tool for restoration and maintenance of longleaf pine ecosystems in eastern North Carolina. 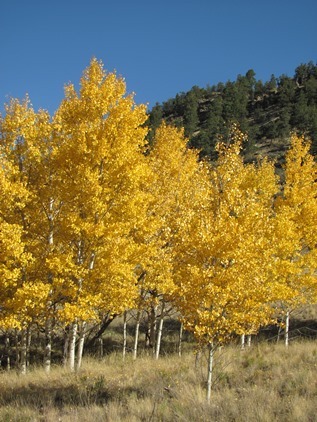 In the Southern Appalachians, the Forest Service uses controlled burning to promote fire-tolerant native plants and restore threatened plants and communities, such as table mountain pine and mountain golden heather. The low- to medium-intensity burns create healthier, more diverse and more resilient forests. All controlled burns are thoroughly planned and analyzed by a team of specialists to ensure that wildlife, fisheries, rare plants, and historic sites are not harmed. Burned areas can be unsightly at first; however, the forests will green up in a matter of months. 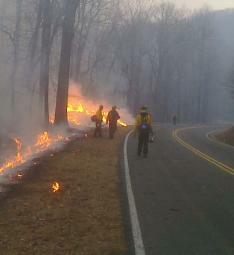 Great Smoky Mountains National Park and Appalachian Piedmont Zone fire management staff plan to burn approximately 800 acres of fields near Hyatt Lane and the western end of Cades Cove. Weather permitting, burn operations will occur Thursday, February 16th through Sunday, February 19th. Over the last 20 years, park managers have conducted these burns during the spring and fall under specific prescription parameters to safely restore meadow habitats. Park staff closely monitor fire weather conditions including woody fuel and soil moisture, wind, and relative humidity to ensure that conditions meet the burn plan objectives for the site. These seasonal controlled burns help perpetuate native herbaceous species that provide high quality cover and foraging opportunities for a diversity of wildlife including deer, turkeys, and ground nesting birds. 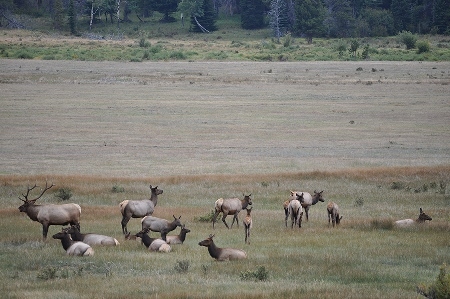 “The selected fields will be burned to restore meadow species, prevent the open fields from being reclaimed by forest, and to reduce hazard fuels,” said National Park Service Burn Boss Chris Corrigan. Visitors should expect to see firefighters and equipment along Hyatt Lane and the western end of the Cades Cove Loop Road. The loop road and historic structures will remain open to visitor use, but brief delays and temporary closures may occur to ensure public safety during burn operations. Park staff will be present to answer questions during operations at overlooks and parking areas. Visitors should expect to see fire activity and smoke during controlled burn operations. Fire managers ask that motorists reduce speed in work zones, but refrain from stopping in the roadways. If smoke is present, motorists should roll up windows and turn on headlights. USDA Forest Service officials say prescribed (controlled) fire is a useful tool for managing national forest land. Approximately 20,000 acres are scheduled for burning throughout the 650,000 acre Cherokee National Forest during 2017. A significant portion of the prescribed burning is planned for early spring. To many people the word fire creates visions of great devastation and waste. While this concept can be true of wildfires, it is the opposite with prescribed fires. 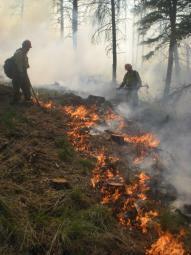 The term prescribed fire means exactly what it implies. It is a recommended treatment for a specific area. Before prescribed burns are conducted on national forest land, a well thought out and documented “prescription” is written by Forest Service resource specialists. A prescription identifies objectives of the proposed burn, examines possible environmental impacts, addresses smoke dispersal, describes how and when the burn will be conducted and under what weather conditions. 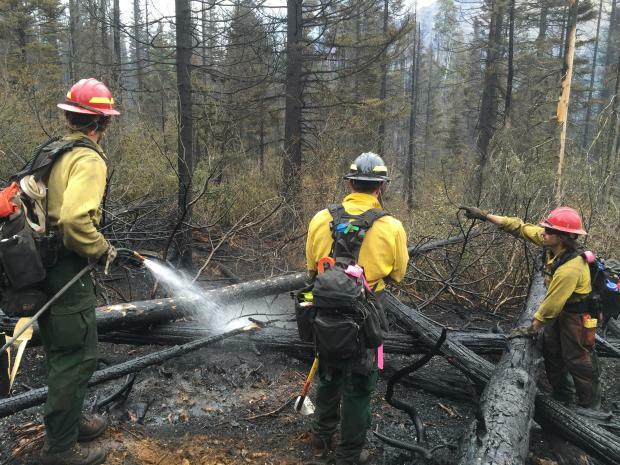 After a prescription has been approved, fire management personnel go about the task of planning and conducting the burn. 1) Hazardous Fuel Reduction: Fuels (vegetation) such as grass, leaves, brush, downed trees, and pine needles accumulate and create a fire hazard. By burning an area under favorable conditions these fuels are removed, decreasing the amount of vegetation that is available to burn during a wildfire. Reducing heavy vegetation build up helps protect communities from the threat of wildfire, as well as being beneficial to the forest. 2) Site Preparation: Certain trees cannot tolerate shady conditions created by other species. In areas being managed for pines, prescribed fire reduces certain types of vegetation that compete for light, moisture, and nutrients. Prescribed fire also reduces the leaf litter on the forest floor which often prevents seed germination for natural reproduction of desirable vegetation, including native grasses. 3) Wildlife Habitat: Prescribed fire promotes new sprout and herbaceous growth that serves as beneficial food and cover for many animals. Although other methods of treatment have been used, none have been found that can produce the same benefits as prescribed fire for the same cost. Other methods may cost many times as much and have less benefit to the larger forest ecosystem. Wildfires usually burn with great intensity and cause damage to the forest environment and can be a threat to life and property. On the other hand, low intensity prescribed fires are beneficial and very important to the management of national forest land. Bot explained that, “Growing conditions in east Tennessee allow burned areas to quickly green up within a relatively short period of time. In most cases, shortly after a burn is conducted, a casual observer would scarcely notice that this beneficial tool has been used. If you have questions concerning the Cherokee National Forest prescribed fire program in your area contact one of the following Ranger District Offices: Ocoee/Hiwassee (Benton, TN) – 423-338-3300; Tellico (Tellico Palins, TN) – 423-253-8400; Unaka (Greeneville, TN) – 423-638-4109; Watauga (Unicoi, TN) – 423-735-1500. Great Smoky Mountains National Park has announced temporary, single-lane closures on the Spur, between Gatlinburg and Pigeon Forge, beginning in late February, and lasting through mid June for paving operations. Estes Brothers Construction, Inc. of Jonesville, VA was awarded the contract for $6,388,630 to make paving repairs on both directions of the roadway, as well as the crossover bridges at Gum Stand, King Branch, Gnatty Branch, Huskey Grove, Flat Branch, Wiley Oakley, and Little Smoky roads. Work includes milling and replacing the asphalt surface on the roadway, pulloffs, and crossover bridges. It also involves installation of concrete curb and gutter in areas where the road shoulder needs repair, application of new pavement markings, replacement of traffic signs, and selective replacement of timber guardrails. Motorists should expect single-lane closures, days and nights, for the duration of the contract. No work will be allowed on holidays or on weekends from noon on Friday through Monday morning. In addition, no work will occur from April 6 through April 23 due to expected heavy traffic over the Easter holiday. Access into and out of the side roads off the Spur could be affected at times. Park officials will provide more detailed information on scheduled traffic interruptions when it becomes available. The project will be managed by the Federal Highway Administration’s Highway Division Office of Eastern Federal Lands in Sevierville in conjunction with the National Park Service. The project is expected be complete by June 15, but work schedules may be revised if inclement weather affects work progress. The Appalachian Trail Conservancy (ATC) does not agree with Baxter State Park’s (BSP) new Appalachian Trail Long Distance Hiker Permit System, which limits the number of long distance Appalachian Trail (A.T.) hikers that can access the northern terminus of the Trail on Katahdin each year. This new policy imposes a cap on the number of long distance A.T. hikers who are allowed to climb Katahdin that is 15% higher than 2016 A.T. Katahdin hiker numbers. 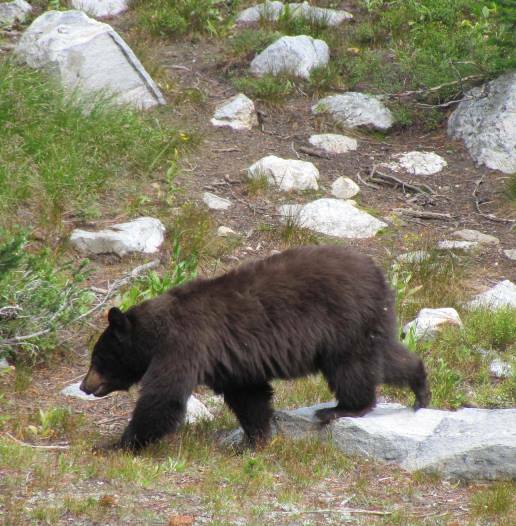 In our view this policy is not based on best practices, sufficient research or analysis of the current impact of A.T. hikers on park resources and the hiking experience. Last year the ATC made significant progress in improving hiker awareness and compliance with BSP rules by increasing education and outreach to the hiking community, particularly in the Monson, Maine A.T. Visitor Center. While we share the Park’s desire to protect the fragile alpine ecosystems on Katahdin, the ATC believes in a science-based, adaptive management approach to increased use at popular sites on the A.T. We will continue to work with BSP to provide an opportunity for long-distance A.T. hikers to climb Katahdin and complete their incredible journeys." Big South Fork National River and Recreation Area will be observing President's Day Saturday, February 20 2017, by authorizing free backcountry permits and one night of free camping at Alum Ford Campground. Take this opportunity to experience the unique serenity of camping during the winter as well as behold the magnificent landscapes of our parks while the foliage is absent. For more information, contact Bandy Creek Visitor Center at (423) 286-7275. Visit http://www.nps.gov/findapark/feefreeparks.htm to learn more about fee free days in 2017. 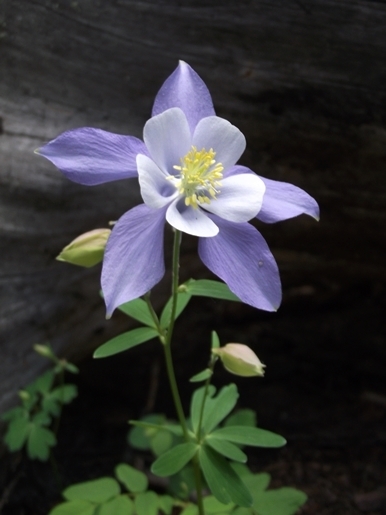 For more information on hiking at BSF, please click here. Rising more than 7000 feet above Jackson Hole, the high peaks of Grand Teton National Park provide one of the most dramatic landscapes in the world. Although many people seem to treat it as an afterthought, only visiting the park as a side trip while visiting its more famous neighbor to the north, more time and focus should be given to this stunning landscape. 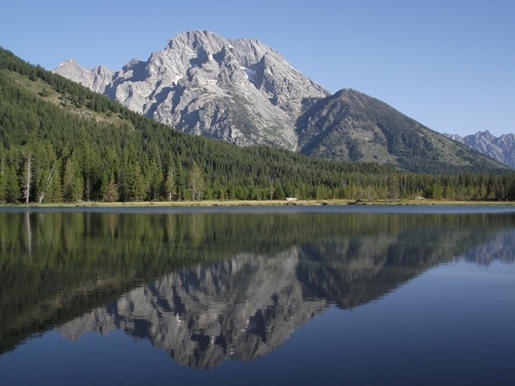 Within its 310,000 acres the majestic mountains of the Teton Range are home to a wide variety of wildlife, eight peaks that top out above 12,000 feet, more than 100 alpine and backcountry lakes, and more than 240 miles of trails that provide intimate access to all of this incredibly beautiful scenery. 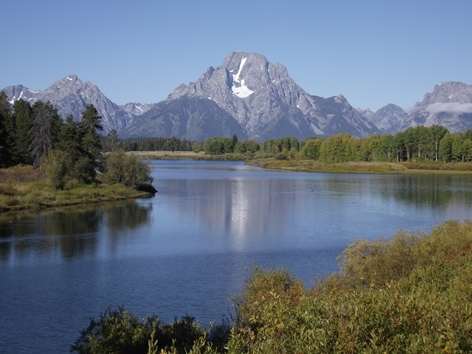 With more than 240 miles of trails meandering throughout the park, hiking is the absolute best way to see Grand Teton National Park. In addition to the hikes listed above, the park offers a variety of other outstanding hikes. 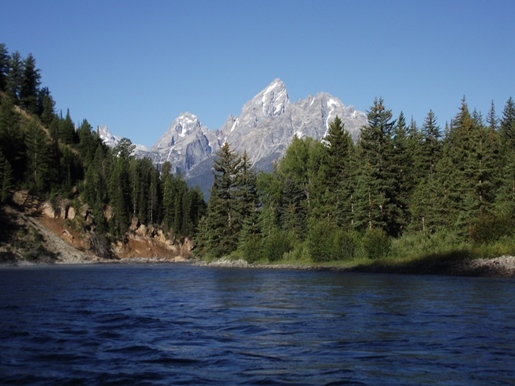 If you do plan to visit Grand Teton this year, please note that our hiking website also offers a wide variety of accommodation listings as well as other things to do to help with all your vacation planning. A lot has changed since the first Great Backyard Bird Count (GBBC) was held in 1998. Each year brings unwavering enthusiasm from the growing number of participants in this now-global event. The 20th annual GBBC is taking place February 17-20 in backyards, parks, nature centers, on hiking trails, school grounds, balconies, and beaches—anywhere you find birds. "The very first GBBC was an experiment," says the Cornell Lab of Ornithology's Marshall Iliff, a leader of the eBird program. "We wanted to see if people would use the Internet to send us their bird sightings. Clearly the experiment was a success!" 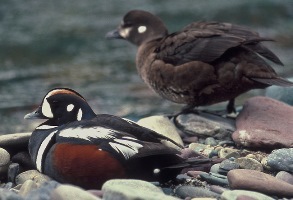 eBird collects bird observations globally every day of the year and is the online platform used by the GBBC. Jon McCracken, Bird Studies Canada's National Program Director, reminds participants in Canada and the U.S. to keep watch for snowies. He says, "The GBBC has done a terrific job of tracking irruptions of Snowy Owls southward over the past several years. We can't predict what winter 2017 will bring, because Snowy Owl populations are so closely tied to unpredictable 'cycles' of lemmings in the Arctic. These cycles occur at intervals between two and six years. Nevertheless, there are already reports of Snowy Owls as far south as Virginia." In addition to counting birds, tens of thousands of stunning images have been submitted since 2006. For the 20th anniversary of the GBBC, the public is invited to vote for their favorite top photo from each of the past 11 years in a special album they will find on the GBBC website home page. Voting takes place during the four days of the GBBC. To learn more about how to participate and what scientists have learned from the Great Backyard Bird Count over the past 20 years, visit birdcount.org The GBBC is a joint project of the Cornell Lab of Ornithology and the National Audubon Society with partner Bird Studies Canada and is made possible in part by sponsor Wild Birds Unlimited. A team of fire experts is assembling at Great Smoky Mountains National Park to conduct a review of the 2016 Chimney Tops 2 fire that started in the park on November 23rd. The purpose of the review team is to identify the facts leading up to and during the Chimney Tops 2 fire within the boundaries of Great Smoky Mountains National Park, as well as make recommendations on any planning, operational, or managerial issues which can be addressed locally, regionally, and/or nationally to reduce the chances of a similar incident in the future. The Chimney Tops 2 fire review team is made up of interagency representatives: a team leader, a fire behavior specialist, two fire operations/risk management specialists, an NPS fire management officer from outside of the region, a municipal fire department representative from within the region, and an NPS management liaison. Joe Stutler, a senior advisor for Deschutes County, Oregon, will lead the team. Stutler has extensive experience in wildland fire at the federal level as well as in local government and the private sector. He has nearly 50 years of knowledge of the complexities of fire management, including fire behavior and policy. The work of the review team is expected to take up to two weeks. After that, the team has 45 days to complete their report and submit it to Chief Kaage for review prior to it being made public.